iRoom’s Apple-certified iPad Docking Stations come in handy in control installations where the iPad is used as a control device. The high-quality docking solutions turn the iPad into a tabletop or wall touch panel with the ability to remove the iPad for mobile use. iRoom recently added new features to its iPad Docking Stations which can be activated through a simple firmware update. The new feature set improves iPad security and adds convenience in using the docking stations. 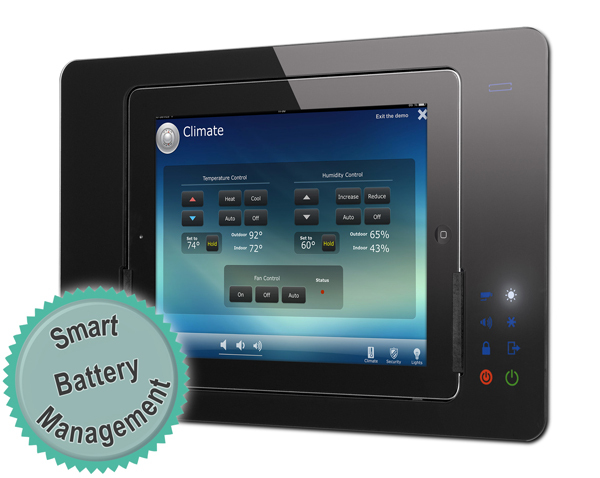 Some of the features require communication with the iPad’s operating system and have been implemented by iRoom as an Apple-certified manufacturer. The new feature set along with built-in control functionality make iRoom’s docking stations the perfect solution for residential and commercial installations where usability and reliability is essential. 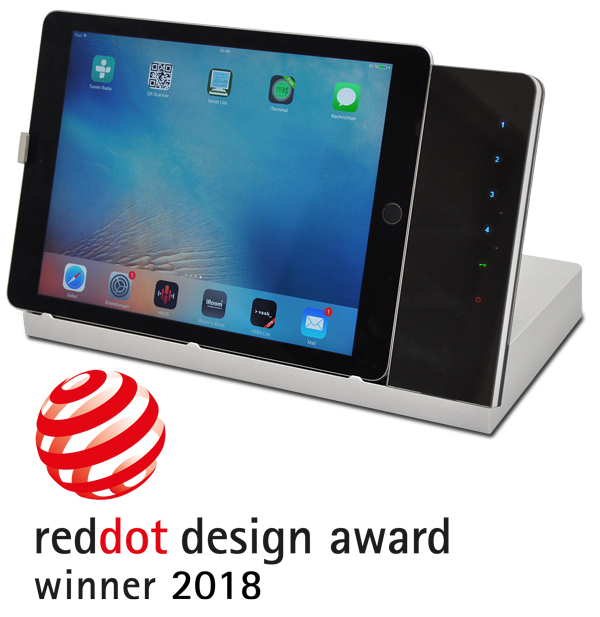 One of the drawbacks many users of docking stations face is the battery lifetime that gets dramatically reduced when the iPad is permanently charged and being used at the same time. In the worst case, the battery swells and becomes permanently damaged. iRoom’s Docking Stations communicate with the iPad during the charging process. Once the battery is fully charged the Docking Station switches to powering only the display without using the iPad's battery. This extends the battery life and prevents damage of the battery. iRoom’s iBezel and iTop models are equipped with a proximity sensor that can be used in control scenarios to trigger functions such as play/stop/mute music or turn on/off the lights. The new software allows configuration of the proximity sensor for waking and unlocking the iPad screen rather than pressing the iPad button and entering the unlock code. This adds great convenience when the iPad is used in control scenarios. Possible theft of the iPad needs to be taken into consideration in all installations in public spaces. Some iRoom models provide a mechanical lock to secure the iPad. Now, all motorized docking stations can protect the iPad from theft by disabling the iPad release button of the docking station. Once the release button is disabled the iPad can only be removed through iRoom’s iPad app or IP command over the network which allows centralized management of all docking stations in an installation. 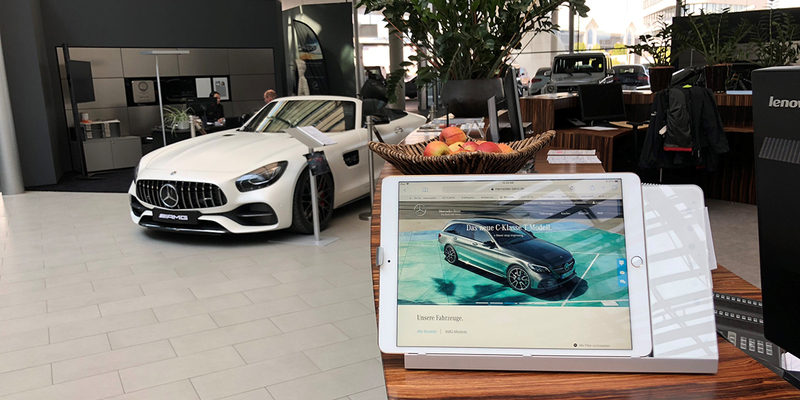 The new feature set of iRoom products was the determining factor in the car dealership’s decision of purchasing an iTop Plus tabletop docking station for the showroom. Sales staff use an iPad to configure the car features during sales talks with the customers. The iPad is not only reliably charged when needed but is also protected from theft which was one the manager’s concerns. 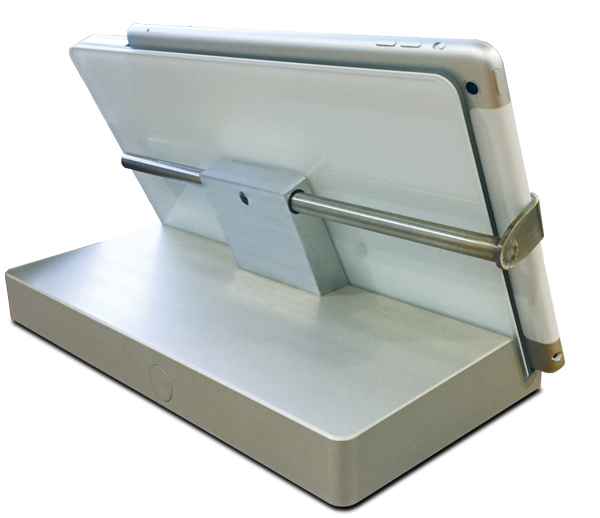 iTop Plus let the staff operate the iPad conveniently in the docking station. A simple hand gesture unlocks the iPad screen and brings up the Mercedes car configurator. 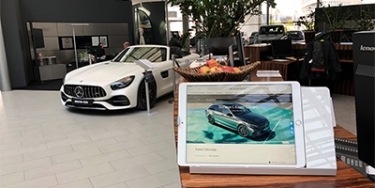 In situations where sales staff want to move around with the customer to look at different car models, they release the iPad from the docking station by entering an individual PIN. The car dealership’s management and sales staff couldn’t be happier with the solution and the ease of use.